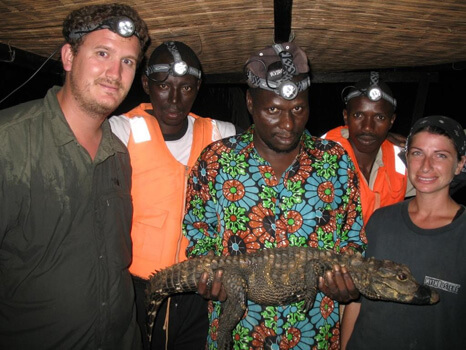 On behalf of myself, Matt Shirley, both the Gambian and Senegalese Divisions of Wildlife Management, and the Croco’s Ark Trust, I would like to express our sincerest thanks. 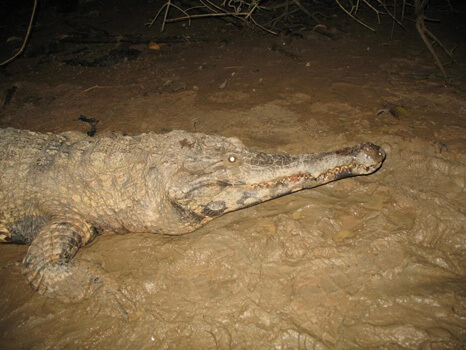 Your support for field supplies enabled us to conduct the first official surveys for crocodiles in both countries in over 20 years! This not only afforded us the opportunity to officially assess the status of Osteolaemus tetraspis and Mecistops cataphractus in the Sene-Gambia region but also provided a unique training opportunity for Gambian and Senegalese park rangers. As I am sure you are aware, both species were presumed locally extinct as the last surveys detected neither species (M. cataphractus hadn’t been recorded for at least four decades!). The result of our surveys was the rediscovery of active, breeding populations of both species here in The Gambia and breeding populations of O. tetraspis in Senegal! 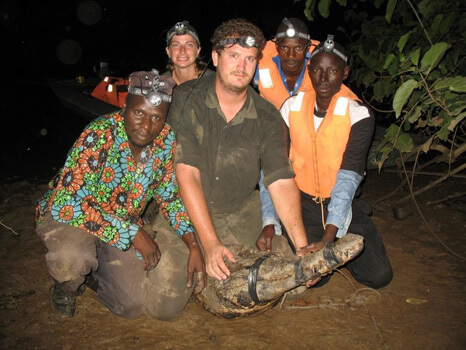 While we are certainly excited at this find, we remain concerned about the precarious status of all crocodilians in this particular region of West Africa. Your support has additionally enabled us to train a cadre of researchers from both countries about crocodile conservation and research. This training and research has facilitated the initiation of a long-term monitoring program that will provide the field-based support for a planned ex-situ captive breeding for a re-population effort that has already begun developing its infrastructure and securing funding. We look forward to keeping you abreast of conservation and research developments here in Sene-Gambia! A report of our work will be forwarded to you upon completion.